As readers know, our office has a significant bankruptcy practice (more bankruptcy information is available there). I addition to the issues Mr. Schlissel addressed yesterday, below are some more frequently asked questions and Mr. Schlissel’s answers. For help with Bankruptcy, or any other matter, you can always contact our office. A: It depends on the type of bankruptcy. If it’s a Chapter 7 Bankruptcy, which is very often called a “straight bankruptcy,” the purpose of that is to eliminate your debts completely. In a Chapter 7 bankruptcy, all of your assets are basically liquidated, except for exempt assets, and distributed to your creditor. Now, if you don’t have any assets, such as a house, chapter 7 is usually the way to go and at the end of the bankruptcy, you have no debts at all. 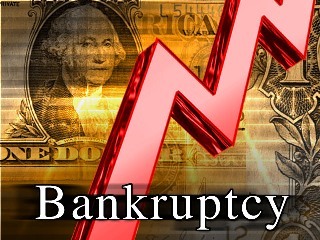 The problem is that if you file a Chapter 7 bankruptcy and you have a co-debtor, only you are discharged from the debt. At the end of the bankruptcy, the co-debtor still owes the debt. Whatever portion you didn’t pay, or if you didn’t pay anyportion of it, the co-debtor or guarantor owes the balance of he debt. In those situations where there’s husbands and wives or co-debtors, it is very often recommend that they both file for bankruptcy. In a Chapter 13, you’re entering into a “plan” where you pay a percentage of the amount owed. If it’s a secured creditor which has a lien on your car, or a bank that has a mortgage on your house, very often you’re paying 100% of what is owed to them. If the debt is owed to credit card companies, some plans have you paying as little as 10-15% of what you owe. In a Chapter 13, there is a stay, or injunction, preventing any creditor from taking legal action against a co-debtor or guarantor. But that is only a temporary form of relief. It doesn’t release the co-debtor for the amount of the debt that is not paid under the Chapter 13 plan. The law is complicated, even more so than a lot of other areas of law that consumers have to deal with. Not only that, but not all attorneys do bankruptcy work. In fact, most of them do not do bankruptcy. Very few attorneys get involved in dealing with federal proceedings such as bankruptcy. 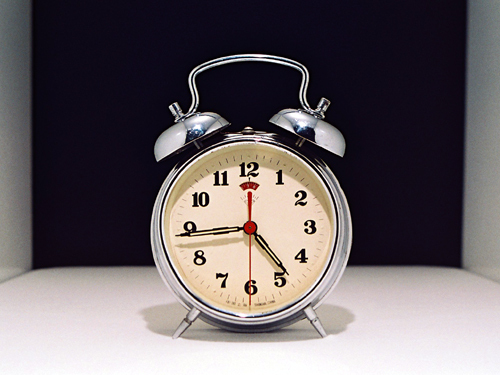 Q: How long does the bankruptcy process usually take? A: Chapter 7, from start to finish, will usually take between three and six months. But a Chapter 13 proceeding can take anywhere from three to five years. Q: What sorts of things do you usually do to help your clients rebuild their credit after bankruptcy? A: After filing for bankruptcy, most good attorneys talk with their clients about how they can rebuild their credit. If done correctly, you can rebuild your credit within six months to a year after filing for bankruptcy. When an individual falls behind on their financial obligations, all sorts of negative credit information is placed on their credit report. Filing for bankruptcy can help most people in the long run as they can develop good credit becxause if you fall behind on your mortgage, credit card payments or car payments, your credit score goes way down. After you file for bankruptcy and you’re discharged, you don’t have any debt. If you enter into an agreement for a secured credit card or something else of that nature, you can rebuild your credit score. 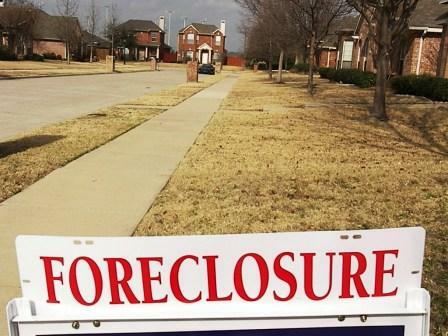 People whose bankruptcies I have handled have credit scores of 750 because they have no debt. they are now debt-free and the have been able to reestablish credit and show that they’re making payments to their creditors on a timely basis. Any good bankruptcy attorney should want to have a long term relationship with his clients and should discuss rebuilding the person’s credit. It’s something we always do for our clients. We feel that it’s part of the process of educating them on how to rebuild their credit after the bankruptcy is complete. Contact us anytime for bankruptcy help. As readers know, our office has a significant bankruptcy practice (more bankruptcy information is available there). Below are some frequently asked questions and Mr. Schlissel’s answers. For help with Bankruptcy, or any other matter, you can always contact our office. Q: Have you seen a lot of new bankruptcy filings due to the economy? A: Yes, there has been a significant increaes in bankruptcies, but it is important to understand that the bankruptcy law was amended during the Bush administration. It is more complex, time-consuming and more expensive to file for bankruptcy since the law changed several years ago. The basic changes were that before filing bankruptcy, one must take an online course. After they file, they must take a second course. The filing requirements are a little more complicated and more detailed as well. For instance, one must have filed tax returns for the last two years in order to file bankruptcy. the record keeping and bookkeeping circumstances of hte filings are also more detailed. In addition, if individuals have a high income or high expenses, there are detailed requirements that sometimes prevent those individeuals from filing a Chapter 7 bankruptcy. In such cases, they’ have to file a Chapter 13 Bankruptcy instead. The purpose of the amendments to the bankruptcy statute was ostensibly to prevent bankruptcy abuse, but the reality of the situation was that the statute was written by the banking industry for the purpose of preventing or making it more difficult for consumers to file bankruptcy. It was basically an anti-consumer statute. It makes the process more difficult, more time-consuming and more expensive than it used to be. Q: What does it generally cost to file for bankruptcy? A: The cost could be anywhere from $1,500 and up. Q: How would someone pay for a bankruptcy when they don’t have any money? Isn’t it a Catch 22? A: Very often lawyers will tell their clients to stop making certain payments. For example, if you have a mortgage on a house and you fall behind, the bank will generally accelerate the debt, meaning that the whole remaining balance becomes due and you can’t make your mortgage payment. At that point in time, the individual is basically saving their mortgage payments because the bank won’t accept their payments. The same can be true for credit card payments. At some point, it doesn’t make sense to make the payments, so a debtr should just acumulate the money, stop making the payments, use it to pay the administrative expenses of filing the bankruptcy and pay the attorneys’ fees. Also many attorneys will accept payment plans from their clients. Consumers should know that there is indeed a way out. They should speak with an attorney who will be able to educate them on how to accumulate money even while they’re in debt in order to file the bankruptcy. Picture courtesy of Adam Stradt. If you have already completed your Chapter 13 payment plan or Chapter 7 bankruptcy proceeding, and have received a discharge, you will hopefully be in good shape to begin a new financially unencumbered life. You will hopefully have taken our advice and attained financial health. But life does not always cooperate with our plans and so you may need to know whether you can refile for bankruptcy protection again. In the event that this does become necessary, it is worth noting that a second (or third or fouth) Bankruptcy filing is possible and may be advisible, based on circumstances. However, time limits do apply. The waiting period after a Chapter 7 Bankrutpcy discharge is 8 years for another Chapter 7 discharge, but only 4 years for a Chapter 13 discharge. However, if you received a Chapter 13 discharge, the waiting period is 2 years for another Chapter 13 discharge and 6 years for a Chapter 7 discharge. As always, it is worth noting that our firm has a significant bankruptcy practice and can assist anyone with information and help with filing for bankruptcy. Just contact the office. David Ingram, of the LegalTimes blog, reported on some startling statistics about sharply increased bankruptcy filings this year over last year. While overall bankruptcy filings are up 35%, the numbers for Chapter 7 liquidation filings by individuals and Chapter 13 filings by companies are much starker. Chapter 7 filings are up 47% and Chapter 11 filings by companies are almost double what they were last year, at 91% according to the U.S. Bankruptcy Courts. While this information may certainly take away some of the stigma that individuals who are in need of bankruptcy protection may feel, it represents a startling indication of the financial difficulties many people are facing. Our firm has a significant bankruptcy practice and can assist anyone with information and help with filing for bankruptcy. Just contact the office. 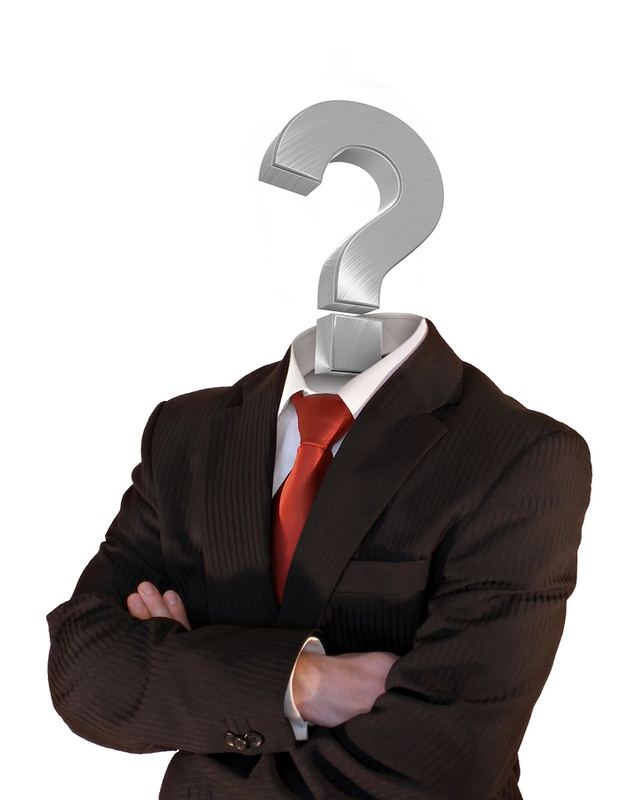 Can A Creditor Pursue a Debtor’s Co-Signor After Discharge? 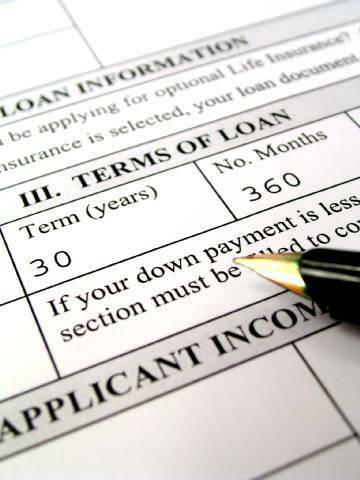 Many people have loans or debts where a friend or relative has guaranteed or co-signed a loan. In these situations, individuals considering filing for Bankruptcy are often concerned whether any discharge of indebtedness would absolve co-signors of their responsibility for the debt. Generally, Bankruptcy discharge does not absolve a co-signor or guarantor of the responsibility to pay a creditor for any deficiency owed by the party who filed for Bankruptcy. Creditors can still go after a co-signor for any unpaid balance after a Chapter 7 Bankruptcy discharge. Similarly, under a Chapter 13 repayment plan, at the conclusion of the payment plan, a creditor can still go after a co-signor for the difference between the amount paid under the payment plan and the original contract amount of the debt (the “deficiency”). A Chapter 13 Bankruptcy filing stays actions by creditor against co-signors during the pendency of the Bankruptcy case, but this is not the case in a Chapter 7 Bankruptcy. The exact language of the agreement in which the co-signor or guarantor took on the obligation is important. If the co-signor only assumed the obligation to pay the debtor’s indebtedness where the debtor himself was still obligated to pay the loan, then the debtor’s discharge would probably absolve the co-signor of her obligation to guarantee the loan as well, pursuant to the terms of that original guarantee. But where the guarantee never says that the co-signor’s obligation is contingent on the primary party’s obligation, or where it states explicitly that the co-signor is obligated regardless of any discharge of the primary party’s indebtedness, the creditor can still go after the co-signor for any amount still due. Based on these rules, it is imperative that anyone who would like to help out a business associate, family member, or friend by co-signing a loan or guarantee should carefully consider whether they are willing and able to pay that person’s debt off if the person who asks for help becomes unable to fulfill his financial obligations or files for Bankruptcy. 11 U.S.C. § 1301(a), (c). Underhill, at id. (citations omitted). Many individuals who file for bankruptcy already have heavily damaged credit due to late payments, repossessions, foreclosure proceedings and judgments. In this case, one of the factors that has driven down that person’s credit is a very high debt-to-income ratio. A bankruptcy may actually help such a person raise his or her credit score by eliminating part of the debt that was throwing off the ratio. Although a bankruptcy will appear on someone’s credit score for up to 10 years, one’s credit score can be raised almost immediately after a bankruptcy discharge by implementing healthy credit and budgeting habits. There are several things that one can do to rebuild credit over time. You may be tempted not to use any credit at all lest you fall back into bad credit habits. This may be necessary if you know that you lack the self-control to use credit responsibly. But if not, you should be aware that your credit score will not go up unless the credit beaureaus see some evidence of responsibly held credit. This is why it is a good idea to get one credit card whose balance you paid off every month. This will help raise your credit score. Two types of credit are needed to bring up the credit score. One must develop a history of making timely payments on both “installment credit” accounts and “revolving credit” accounts. “Installment credit” means long-term set payments on a credit account like mortgage or car payments. “Revolving accounts” involve payments on accounts whose monthly payments are determined by one’s current balance, like credit card payments and home equity line of credit payments. If you have car payments or a mortgage after bankruptcy, one should consider developing credit using a credit card. Sometimes one of a debtor’s credit card companies may allow that person to keep a credit card after bankruptcy, in exchange for an agreement that some of the debt from that card will carry over after the rest of his debt is discharged. If you pay the balance of the credit card every month, this will slowly improve your credit rating. Alternatively, you can build up your credit score by getting a “secured credit card.” This is a credit card with your bank that is secured by an account balance to ensure that the lender can collect on any unpaid bills. It goes without saying that one must leave behind all of the old habits that lead to high debt in the first place. One must make a budget and live within it. Sometimes this may involve taking on an additional job to make sure that all of one’s financial obligations are met on a timely basis.You may contact our office for a free consultation with an experienced bankruptcy attorney with regard to whether this or another type of bankruptcy may be appropriate for your situation.